A joint project of Justice Connect Homeless Law and Herbert Smith Freehills’ Melbourne office, the Women’s Homelessness Prevention Project (WHPP) combines legal representation with social work support and aims to prevent women and children from being evicted into homelessness, and resolve legal issues stemming from family violence. Our lawyers attend a weekly clinic in Melbourne’s CBD and represent clients in relation to evictions and other tenancy legal issues that reduce security of housing. 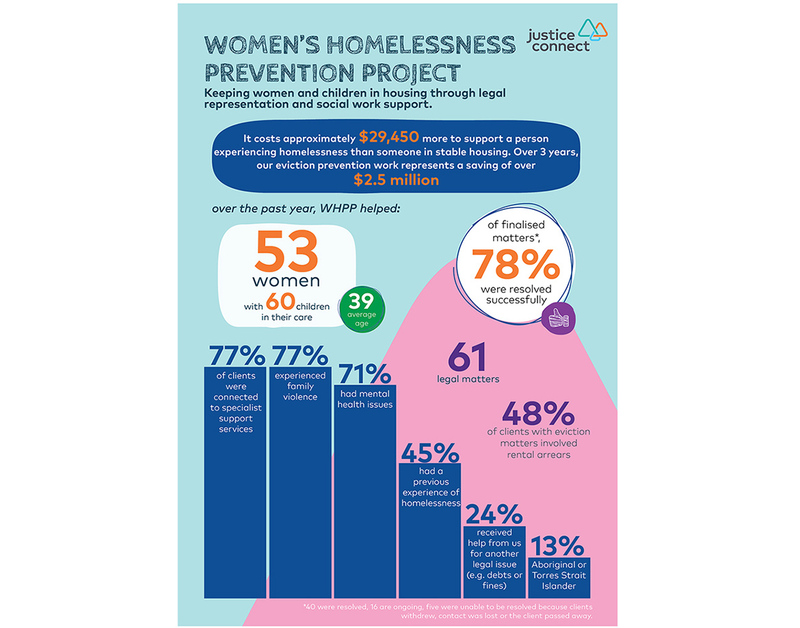 The WHPP aims to stop homelessness before it starts, keeping women and children housed through an integrated combination of ongoing legal assistance and intensive social work support. 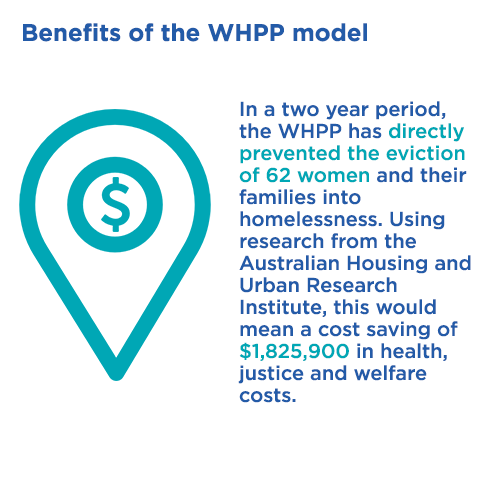 In its first two years of operation, WHPP has had a 83% success rate for finalised matters. Grace is a young mother of three young children. She recently signed a 12 month lease in a private rental property she'd rented urgently, due to threats and escalating violence from an ex-partner she'd been living with. Grace's ex-partner discovered her new address and began regularly attending the property to threaten her. When Grace contacted police she was told she had to leave immediately because her ex-partner had access to firearms. Grace urgently relocated, and when she spoke to her previous agent about terminating the lease which still had nine months left, she was told there would be significant upfront costs for breaking her lease. Grace contacted Homeless Law and through the WHPP, her lawyer made a successful urgent application to VCAT to have the term of her lease reduced to the date of hearing. This matter was listed by the VACT family violence support worker within three days of application with Grace only being liable for some outstanding rental arrears that the WHPP social worker helped her to cover with financial brokerage. This meant Grace stopped acrruing arrears at a property she was not safe to reside at, and helped her to avoid a tenancy database listing. 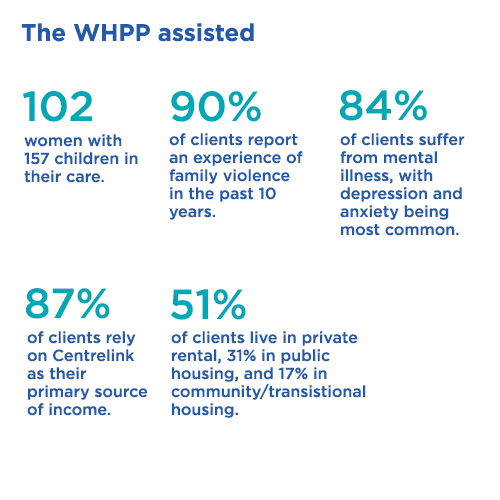 She has since been able to pursue a referral by the WHPP social worker to a local GP to get a mental health care plan and has counselling in place to help her recover from her experience of family violence.